‘Concerto’ is a studio album of 18 classical titles featuring Richard Clayderman together with the world-famous Royal Philharmonic Orchestra. 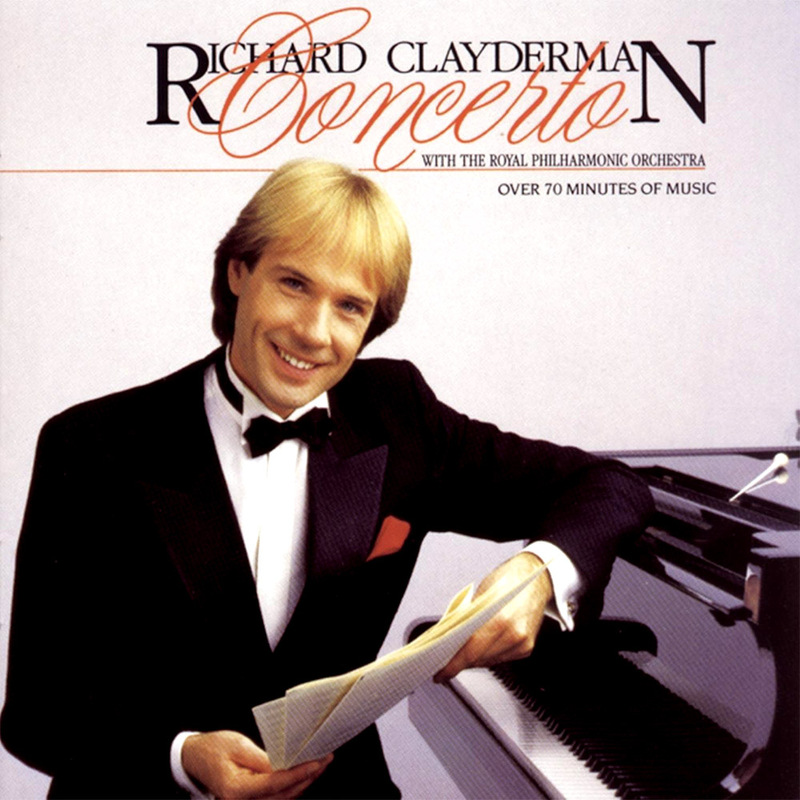 This was Richard Clayderman’s first of two projects with The Royal Philharmonic Orchestra, the second album being ‘My Classic Collection’ (1989). Various versions of the album were released including the Decca release entitled ‘The Classic Touch’. ‘Concerto N°1 In B flat Minor, Opus 23’, ‘Warsaw Concerto’, ‘Rhapsody In Blue’ and ‘Theme Of Paganini’. In October 1976, together with my partner Paul de Senneville, we were searching for a talented young pianist and were overwhelmed to discover Richard Clayderman’s exceptional musical talent matched by a pleasing personality; very much reflected in his appearance. Very soon we were to learn that the public shared our enthusiasm and justified our conviction. Demand for Richard’s albums and concert appearances spread from France, to the rest of Europe, Australia, New Zealand, Japan, South Africa and South America. In September 1982 the British public were introduced to Richard Clayderman through a two minute TV commercial and in less than a year they responded by buying over one million of his albums. His early concert appearances at the Royal Albert Hall and an extensive British tour were all totally sold out and at each appearance Richard was accorded a rapturous reception. Last year  Richard was introduced to the American public and to one on his most ardent fans, Nancy Reagan. In January 1985 Richard embarked on this, his most ambitious musical project to date; an album of the world’s most popular classical piano pieces, introducing several modern works made popular through British films including, The Warsaw Concerto, Cornish Rhapsody and The Dream of Olwen. We were honoured that the Royal Philharmonic Orchestra accepted Richard’s invitation to take part in the recordings. Richard’s father had been a music teacher and had brought Richard up with a classical music background so Richard was well equipped to give these recordings his own distinctive approach. Concert performances and TV appearances were kept to a minimum to allow Richard to concentrate on producing what we believe to be his most important recording to date. I hope you agree and that this album gives you many years of enjoyment.